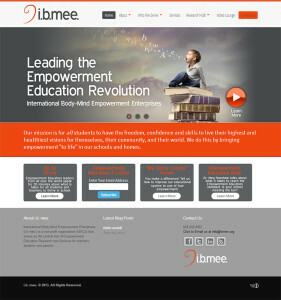 International Body-Mind Empowerment Enterprises (i.b.mee.) is a non-profit in Asheville, and they needed a super-functional, super-custom website to assist them in gathering and processing information. 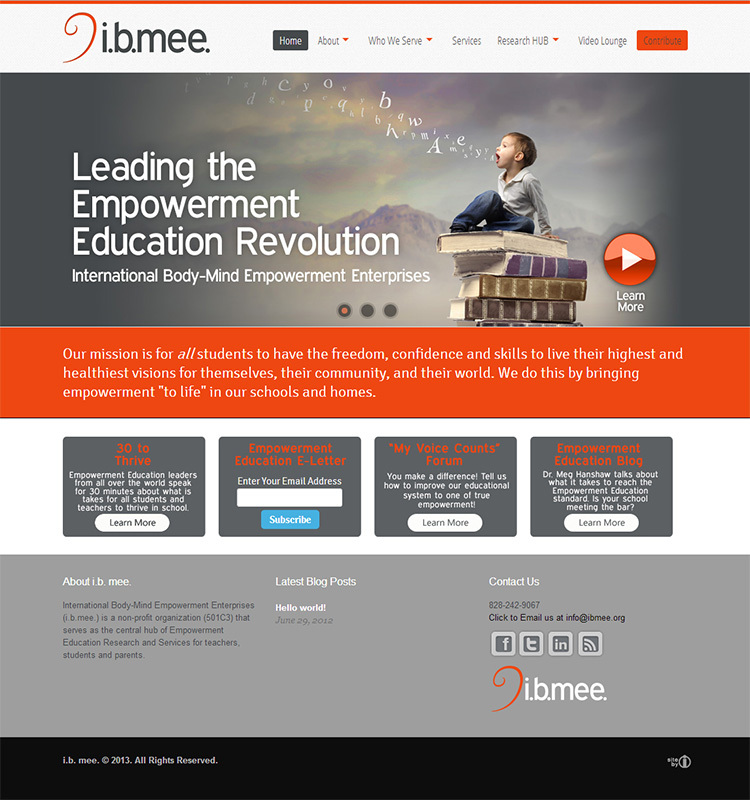 See, they’re out to change education from a rewards-based system to an empowerment system. Sweet! We set them up with a WordPress site, a Woo theme and a bunch of custom work. Forms with conditional logic, easy-to-update pages and blogs, and an online forum makes this a full-featured website. Check ‘em out. Truly a great cause and a bunch of great folks.